The future of game streaming is alluring but there are dozens of other things Stadia needs to iron out. Yesterday, Google finally unveiled its much-rumored, highly anticipated cloud-based streaming platform. It started with the name “Stadia”, plural for stadiums and essentially meant to embody the Olympic Games of yore. Of course, where Google somewhat miffed us on the name and subsequent marketing spiel, it made up for in terms of sheer features. Streaming across a variety of devices in 4K resolution and 60 frames per second with HDR! 8K support…eventually (even though the technology has very little market presence, especially compared to 4K TVs)! Seamlessly play on multiple devices, whether it’s your phone, web browser, tablet or TV! "It was a venerable who’s who of impressive features, especially when you consider that Google Stadia is launching this year." Low latency and integration with current services like YouTube Gaming, where someone could join a streamer’s game instantly! Heck, you could watch a trailer for a game and immediately hit “Play Now” to experience it for yourself in your browser. Hardware that uses an x86 CPU, a custom AMD GPU with 10.7 TFLOPs of power and 56 compute units, 16 GB of RAM, up to 484 GB/s in bandwidth and SSD support! Local co-op play! Full cross-platform play! The support of Unreal Engine and Unity! Google Assistant Integration for looking up walkthroughs and guides (you know who you are) without leaving your game! A first party games studio headed by former Assassin’s Creed executive producer Jade Raymond! Real-time cloud-based destruction! DOOM Eternal running at 4K/60 FPS?! It was a venerable who’s who of impressive features, especially when you consider that Google Stadia is launching this year. Though it will have a limited roll-out in the United States, UK, Europe and Canada, that still translates to hundreds of millions of consumers out of the gate. It also allows for Google to have a sufficient audience to stress-test the platform before it rolls out to the rest of the world. "For all of Google’s assurances and testing, we won’t know the real world performance of Stadia until the platform is actually out running in the real world." However, through all the hype and intriguing features with names like State Share and Style Transfer, one can’t help but feel skepticism at what Google is trying to accomplish. I personally felt that a lot more time was needed simply to flesh out and demonstrate each individual feature (cross-platform play alone is a massive deal). But throughout it all, more pressing questions began to emerge. First off, even for a company as large as Google, infrastructure will be a serious issue. We’ve seen games under major companies like Rockstar, Activision and EA struggle with hundreds of thousands to millions of players logging in at once. Stadia will be built on top of the current Google data center infrastructure but you’re still talking about hundreds of millions of players logging in, streaming and sharing games, that too in just a handful of countries. How will Stadia fare in regions like Australia which are notorious for their internet woes? Or India which has comparatively less data centers available than the United States or United Kingdom but significantly higher population than both combined? Of course, if we’re talking about making low latency streaming a reality, then services like 4G have to be taken into account. How does Stadia fare in that regard, especially when its requirements are “a streaming rate of 15Mbps, latency below 40ms, and data loss below 5%” as per Tech Radar? For all of Google’s assurances and testing, we won’t know the real world performance of Stadia until the platform is actually out running in the real world. Servers going down or chugging under excessive load is one thing. Glitches and bugs are another. Even if we assume the best possible scenario, there’s no denying that Stadia will launch with its fair share of hiccups and take a while to properly stabilize. GameSpot’s Michael Higham already reported noticeable input lag for DOOM Eternal on Stadia at GDC so even in a controlled environment, there are things that need to be worked out. "Logic dictates that Google will partner with with the relevant storefronts for specific titles. So if you wanted to play Assassin’s Creed Odyssey, it would be through Uplay and likewise for any games the Epic Games Store." While Google will be showcasing its catalog of Stadia games in the Summer, there’s still the pressing issue of cost. Will Google offer a subscription service akin to Netflix for games? Will consumers be able to purchase games separately? How does ownership work, especially considering you’re not actually downloading and “keeping” the game per say? What kind of licenses are at play and how will they transfer between multiple devices? Will these games be available on the Play Store? If so, how does that affect storefronts like the Epic Games Store, Steam, GOG and so on? What will be Google’s cut if that happens? After all, if you could just stream games like DOOM Eternal or potentially RAGE 2 on to your browser, why would you ever bother with the Bethesda Launcher? If you could play Assassin’s Creed Odyssey on Chrome, then why would you bother heading to the Epic Games Store for, say, Tom Clancy’s The Division 2 if that also becomes available? Logic dictates that Google will partner with with the relevant storefronts for specific titles. So if you wanted to play Assassin’s Creed Odyssey, it would be through Uplay and likewise for any games the Epic Games Store. Regarding Jade Raymond, who was named the head of Stadia Games and Entertainment, one can appreciate her contributions to gaming. She helped bring about the Assassin’s Creed franchise and was also a factor in creating Watch Dogs. However, for all intents and purposes, Raymond’s recent track record is comparatively less impressive. She headed EA’s Motive Studio that developed the single-player campaign for Star Wars Battlefront 2 (which was heavily criticized for its writing and length). Motive was also involved with Visceral’s Ragtag, a Star Wars title helmed by Uncharted writer Amy Hennig. Motive would be taken off of the project to work on Battlefront 2 but Ragtag was eventually rebooted as an open world game under EA Vancouver. That open world title has since been canceled but Raymond would leave Motive several months before that. To be fair, we don’t currently know how Stadia Games and Entertainment will function or what Raymond’s involvement in the creative direction of franchises will be. There are other pressing questions though. What is the extent of resources that the studio will have for development? Companies like Sony have a fairly large array of internal studios to churn out exclusives. Even Xbox Game Studios went on a spree of purchasing numerous third party studios to bolster its exclusives line-up after a barren stretch of Xbox One offerings. At the very least, it seems that Google is making headway with third party companies like Q-Games, Ubisoft, id Software, Tequila Works and so on but so much more must be done in the first party department if Google really wants to compete in that regard. "One thing is for sure though – if successful, Google Stadia will have an impact on the way we perceive gaming (even if isn’t immediately apparent)." I could go on, bringing up Google’s storied history of failures, from Google Plus and Google Buzz to Bump, Flock, Helpouts, Glass, Reader and so on. This is in no way discounting the massive success that applications like Hangouts, Drive, Gmail, Docs and YouTube (even with all of its monetization and ad-related hangups) have been for information technology as a whole. With an undertaking this large and so many unknown factors to contend with, it’s hard to say just how sustainable it will all be. 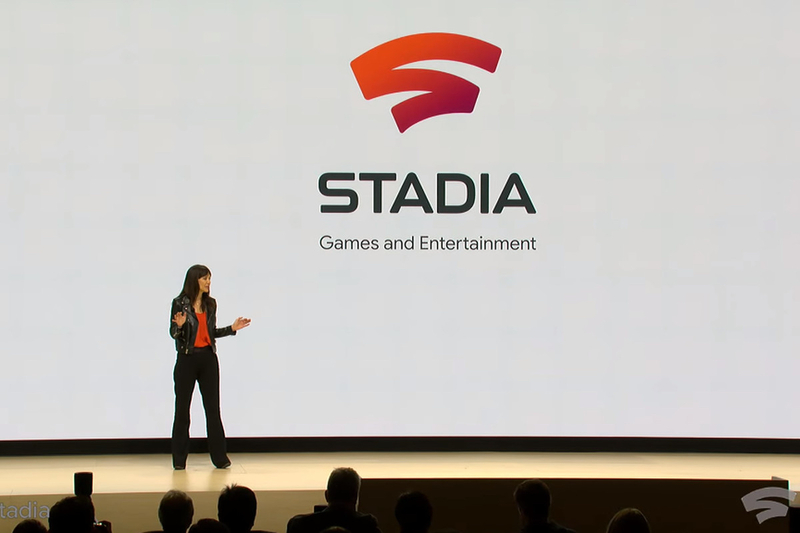 There hasn’t been anything quite like Stadia and it will require significant collaboration between the various branches at Google. One thing is for sure though – if successful, Google Stadia will have an impact on the way we perceive gaming (even if isn’t immediately apparent). Ubisoft throwing in its lot with Stadia could mean a fulfillment of the studio’s wish for titles that persist over numerous years. How would that conflict with potential cloud-based solutions from Microsoft and Sony? How will the rumoured cloud-based Xbox console or whatever Sony is cooking up compete with Stadia? What about eSports which is accustomed to low latency, minimal input lag and frame rates that exceed 60 frames per second,? How will they benefit from Stadia? It’s not like they can be ignored either – just look at the esports popularity of Overwatch, Counter-Strike: GO, League of Legends, Apex Legends, Fortnite: Battle Royale and Dota 2. The impact of Stadia on the current console wars is also interesting. Will it even need exclusives to compete with the likes of Halo Infinite or The Last of Us: Part 2? 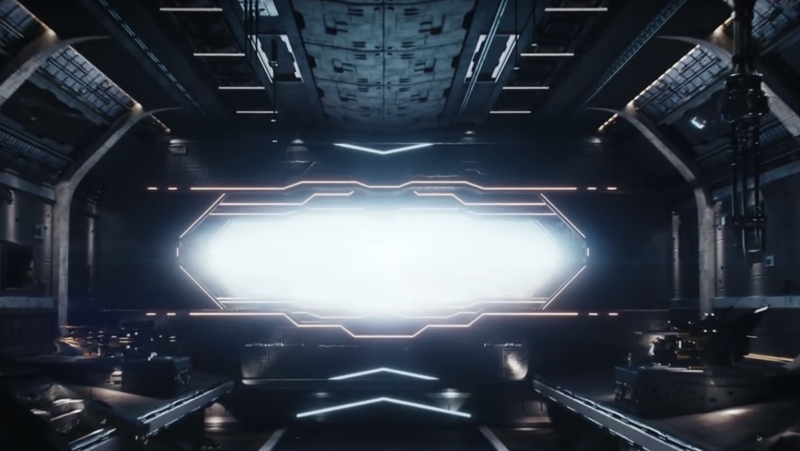 When the main appeal is playing something like DOOM Eternal on your TV seamlessly, Stadia could be a win-win for even the most dedicated console fan. Alternatively, most console players could just ignore it in favour of actually owning their games or leveraging existing services like the Microsoft Store and PlayStation Store. How will games-as-a-service evolve, especially with major updates not requiring downloads? With a unified platform to leverage, will games see improvements in terms of optimization? Will they become even bigger as a result? "Google may have touted the power of Stadia over current generation consoles but it will have more than enough competition on PC." Will Google follow the same route? Or is it simply targeting audiences for triple-A titles instead of indie games? None of this factors into the actual design of certain titles, by the way. You could potentially have, say, XCOM 2 on your web browser, tablet and mobile through Stadia in the future. However, their interfaces need to be optimized for each potential platform (that is, if Stadia is avoiding the current mobile ports for both). Support for a multitude of keyboard-and-mouse devices and controllers is only the start. How will the UI of past games be optimized to run on all potential platforms that Stadia will support? Will they be optimized at all? You also have to keep in mind that a number of consumers have large digital libraries spread across Steam, Origin and Uplay. Will Stadia give them a way to access all of those games? How will it contend against companies like Valve and EA that will inevitably launch their own platforms for game streaming? 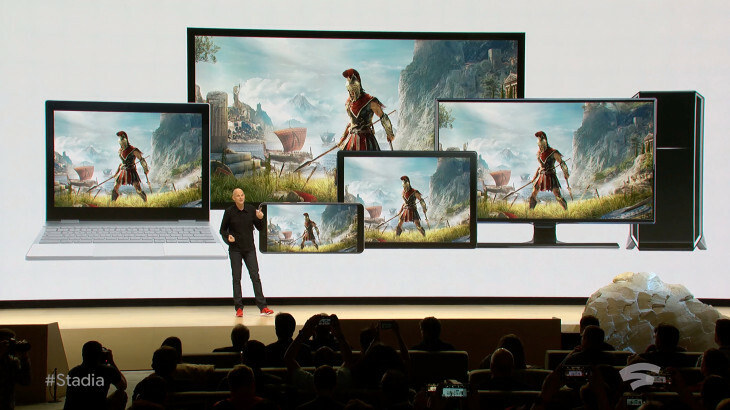 Google may have touted the power of Stadia over current generation consoles but it will have more than enough competition on PC. That’s not even taking the mobile space into account which has a burgeoning market of millions of apps for players to access on the go. "Google wants Stadia to be more than just the next big thing – it wants it to be everything, or at least everything to suit your gaming needs." For all intents and purposes, cloud-based game streaming is a major step forward for video games. We’ve been inching ever closer to it ever since digital downloads and libraries began to overtake the world via Steam. It only makes sense that game streaming would be the next step. Even if Google Stadia falters out of the gate, it signals the first major foray into an uncertain future. Whether the result is a gold rush of enthusiasm from developers, publishers and middleware developers or it simply meanders about until closing down in favour of the next big thing, Google has its work cut out for it. It’s probably unreasonable to expect the company to answer all of these questions in one GDC presentation but the sheer size of the undertaking warrants a bit more than what we’ve seen. We will give credit where it’s due though. Somehow, Google found a way to announce something that’s inviting more skepticism and concern for the future of gaming than a regular console reveal ever could. Whatever the outcome may be, it’s a brave new world for video games, one that continues to roll on and cater to current players while opening up new avenues for development, marketing and distribution. The most important step now is ensuring that it isn’t too good to be true. 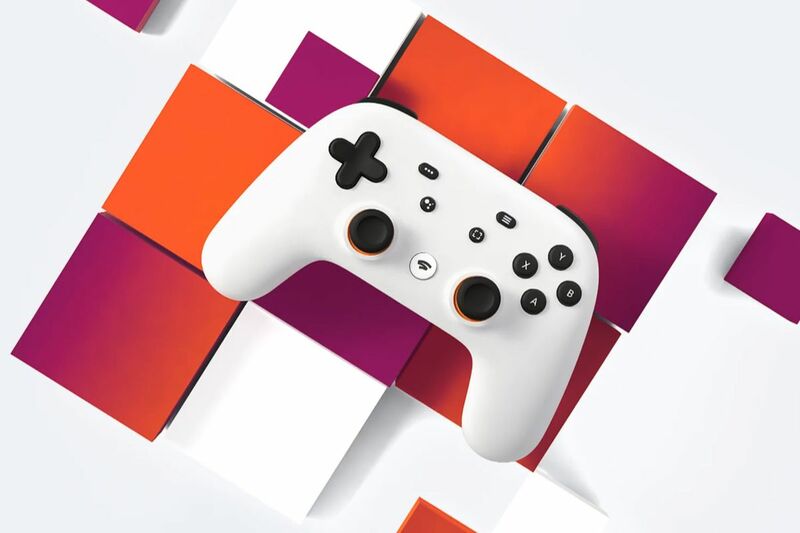 Google wants Stadia to be more than just the next big thing – it wants it to be everything, or at least everything to suit your gaming needs. However, the gaming world is still turning. Games like Apex Legends and Overwatch continue to receive major updates. Players are still fawning over The Division 2 while desperately anticipating improvements for Anthem. The hype for FromSoftware’s Sekiro: Shadows Die Twice is still palpable. In the midst of all this and more to come, Stadia certainly has its work cut out.